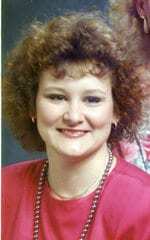 Leah Smith, 55, of Dahlonega passed away Thursday December 13, 2018. Leah was born July 18, 1963. A native of Doraville, she lived in Dahlonega for the past two years having moved from Brookhaven. She was employed at Publix in Forsyth County and was preceded in death by her father, Bobby Smith; stepfather, Tommy King; and a sister, Erica King. Surviving are her mother, Evelyn King, Dahlonega; sister, Lynn Smith, Dawsonville; brother, Stephen Johnson, currently serving in the military; and a number of other relatives. A memorial visitation will be held Saturday December 22, 2018 from 3 p.m. until 5 p.m. at Bearden Funeral Home. In lieu of flowers donations may be made to the Juvenile Diabetes Research Foundation, 3525 Piedmont Rd. NE, Bldg. 6-300, Atlanta, GA 30305. JDRF.org.